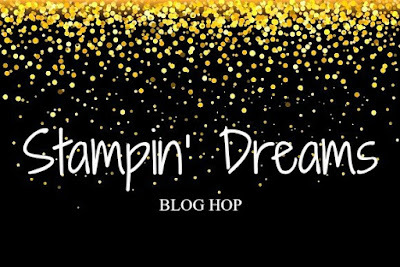 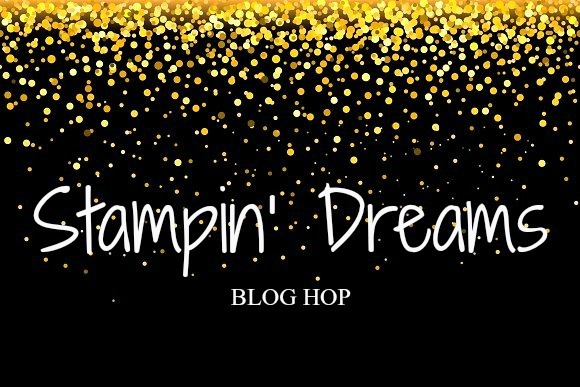 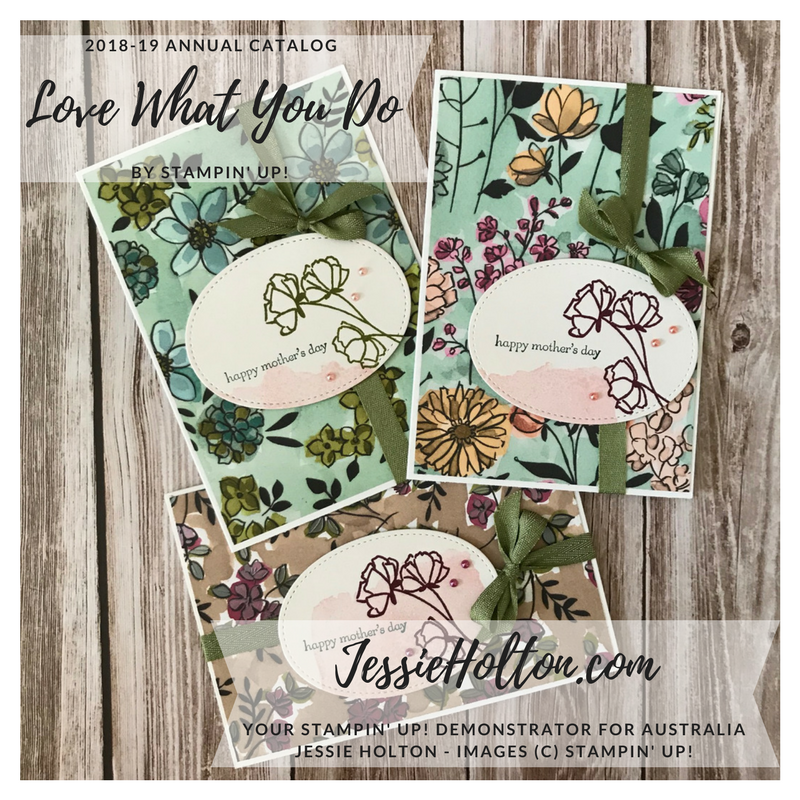 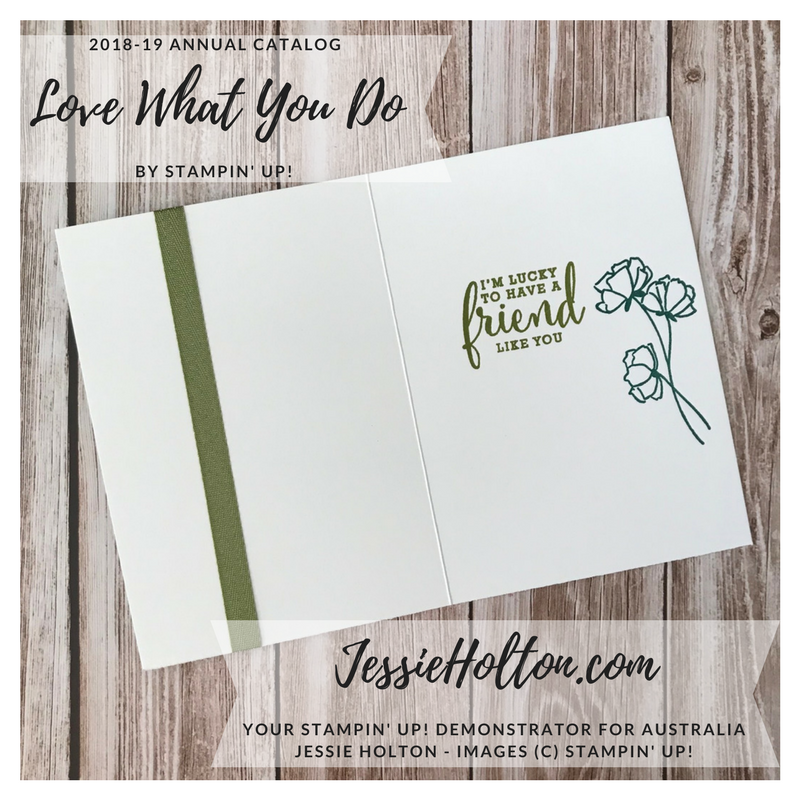 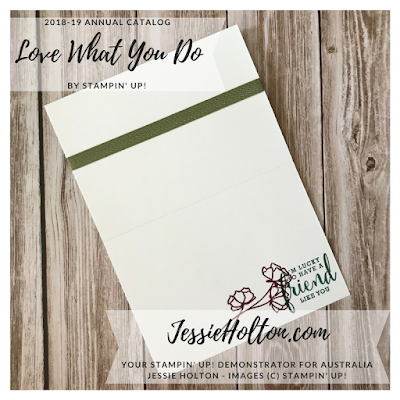 Tonight I'm hopping along with the Stampin' Dreams Blog Hop team & we're showing you a Sneak Peek from the new 2018 Annual Stampin' Up! Catalog - contact me if you need a copy. 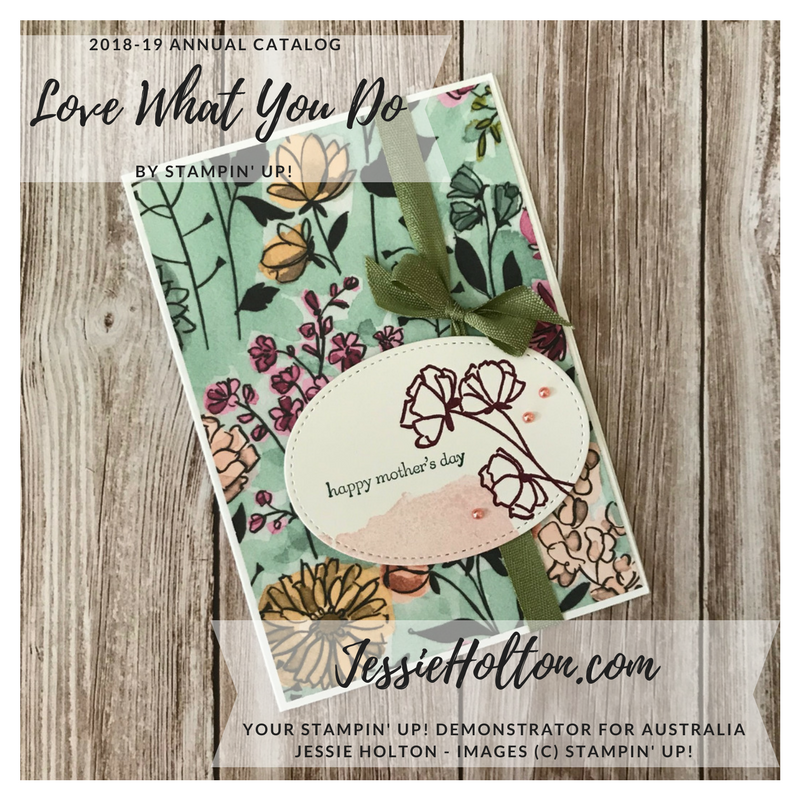 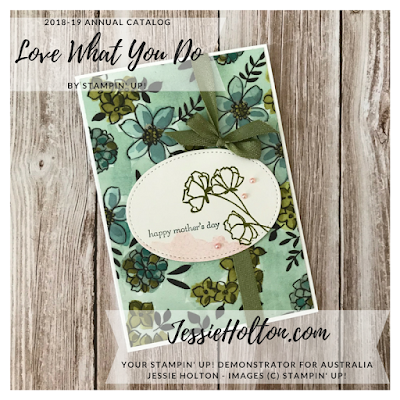 I made some Mother's Day cards with the beautiful new Share What You Love Bundle, including the Love What You Do stamp set. 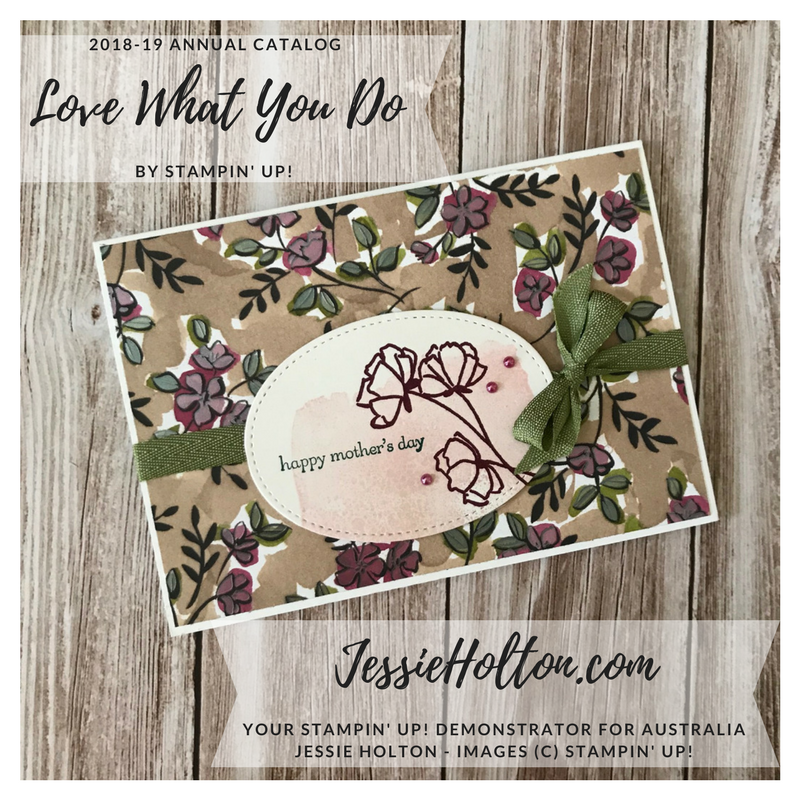 This bundle is actually available now as an Early Release & you can see more info below for that. 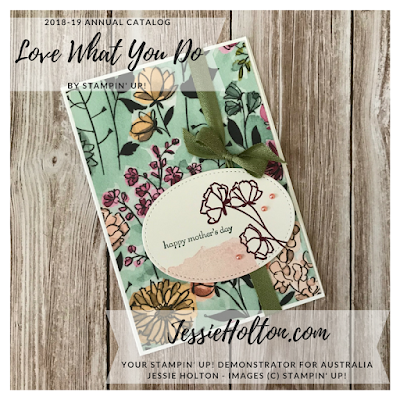 The little Mother's Day sentiment is from the retiring Teeny Tiny Sentiments stamp set. 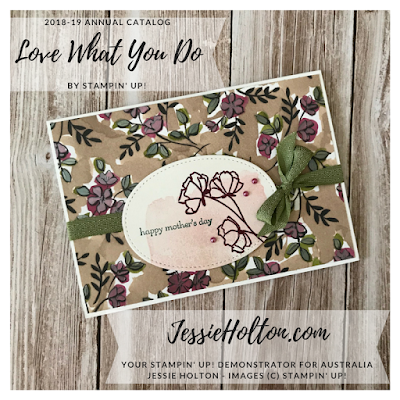 I have used the rest of my retiring Old Olive Mini Chevron Ribbon with a bunch of new goodies from the awesome Early Release Share What You Love bundle. 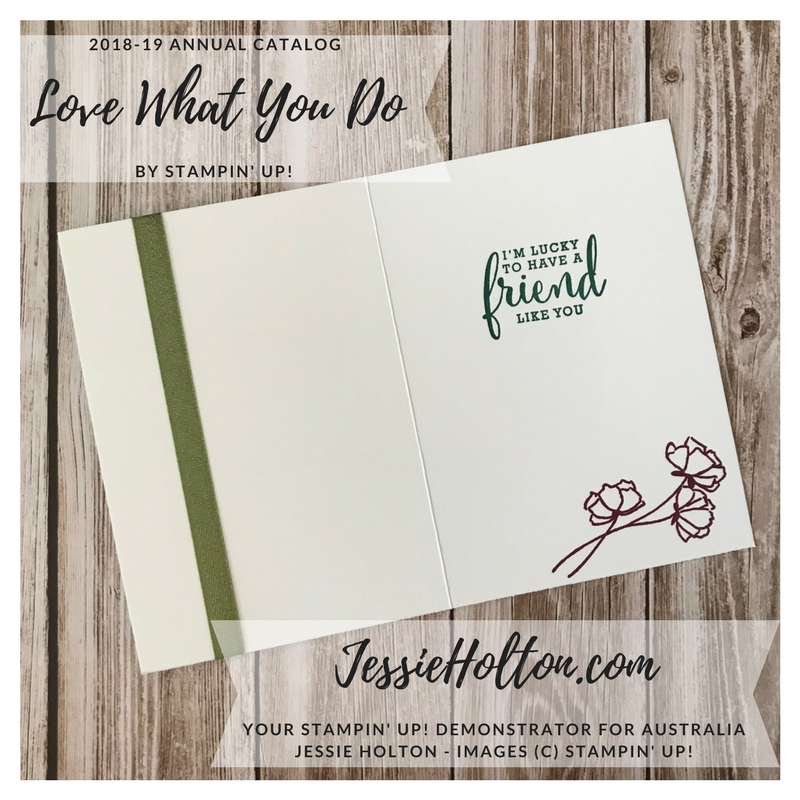 It's got a lot of really gorgeous goodies in there, so make sure you check it out below. 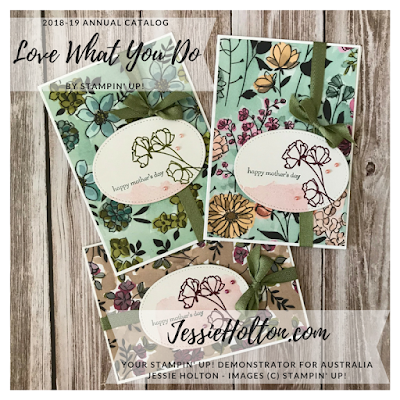 The partial Pink Pirouette (retiring colour) partial watercolor stamp on the sentiment is on Shimmery White cardstock & cut out with the Stitched Shapes dies.